Now that Halloween is over, there is only one thing standing in the way of me and Christmas: Thanksgiving. That and about 36 days. Don't get me wrong: I love Thanksgiving. I love food and fall colors and family...what's not to love? These are some of my favorite things from around the internet that may inspire you to make your Thanksgiving even more fabulous. This pie crust was originally designed to be used to make a sweet potato pie. I'll be honest: I don't like sweet potato pie. Or sweet potato anything, really. But you know what I do love? Cinnamon rolls. And this pie crust idea blows. my. mind. 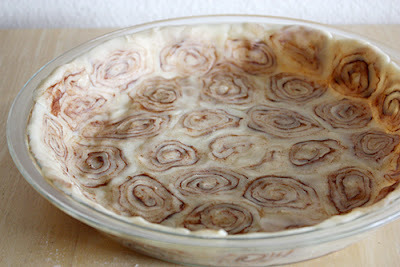 Use this great tutorial to make an amazing pie crust for what ever kind of pie you fancy. 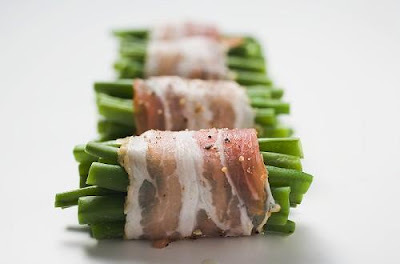 Nobody will want to eat Aunt Mildred's green bean casserole once you wow your family with this super tasty (and vegiphobic family member friendly) green bean dish. Sign up to bring the veggie dish and you may even steal the show from the turkey. A fun alternative to pie for the kids or the pie-adverse (or something to bring just because they are super fun!). 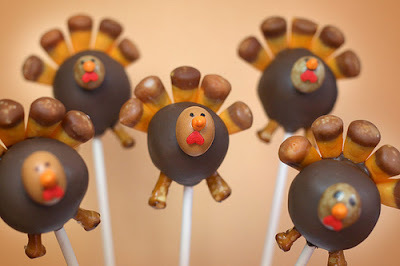 I heard a rumor my brother's girlfriend is going to be making these for our family for Thanksgiving. Sounds like sister-in-law material to me! Don't worry, Chantal. I don't just love you for your cake pops. I love the look of fun things filling vases. 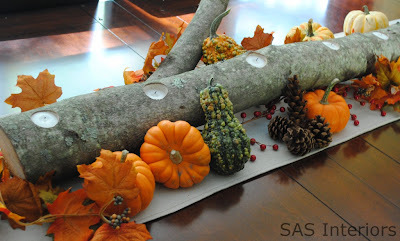 Their different sizes and lopsidedness makes them more fun and whimsical just simply filling vases or bowls with nuts or cranberries. Facebook fans will recognize this project from SAS Interiors that I linked to last month. It's so simple, beautiful and easy that I just had to spotlight it here, too! Jenna's great tutorial walks you right through how to make this easy but impressive looking centerpiece. If you have more than five minutes, check out this beautiful mantle decoration that Liz from Naptime Decorator made from Dollar Store materials. This would look great along the back of a buffet table, on a bar, the top of your china cabinet...or pretty much anywhere! Liz walks you through how she made it with great pictures on her blog. I hope you found a little bit of inspiration for how to make your Thanksgiving even more special this year. 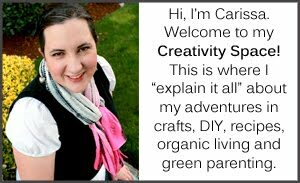 If I featured your project, thank you for sharing your creativity with the blog community. Please feel free to grab a button! Thank you so much for the feature Carissa! So kind of you!